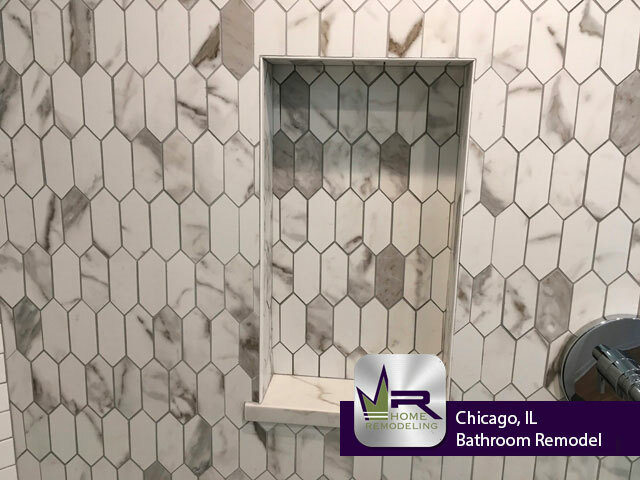 Lincoln Park is a gorgeous neighborhood of Chicago located on the North Side. 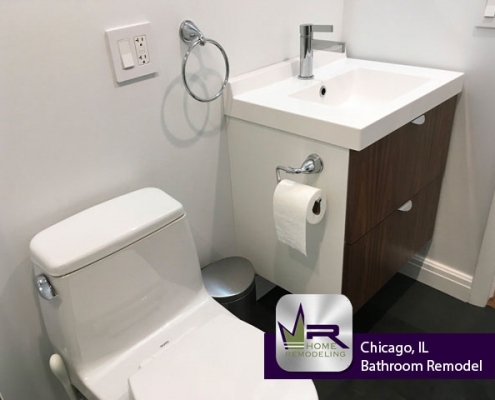 It is located south of Lake View and Roscoe Village, east of Bucktown, north of Old Town, and west of Lake Michigan. 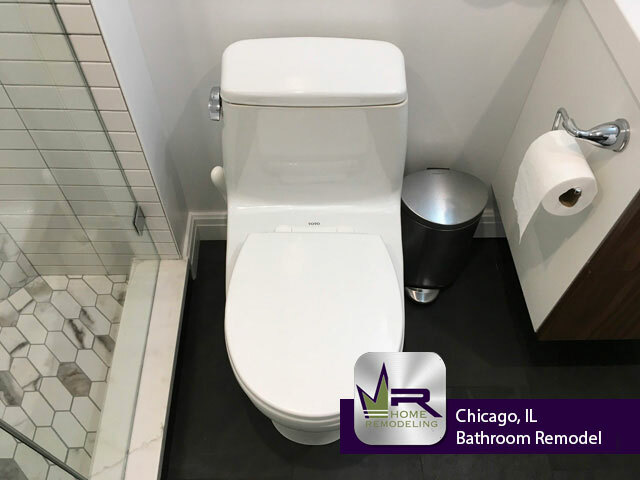 Lincoln Park is famous for many things, one including being the home to the Lincoln Park Zoo. 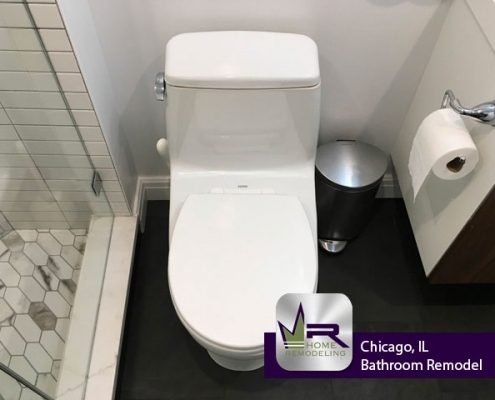 First founded in 1868, this free admission zoo is one of the oldest in North America. 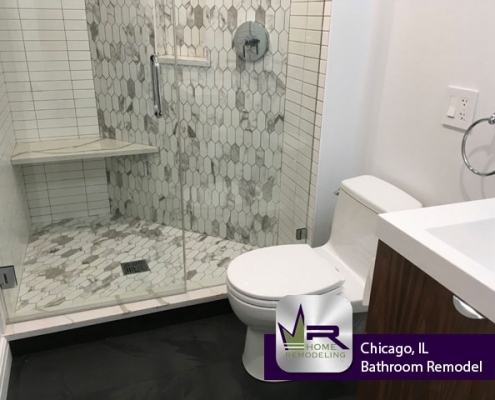 Lincoln Park is also home to some of Chicago’s most valuable lakefront real estate making it a very desirable place to live. 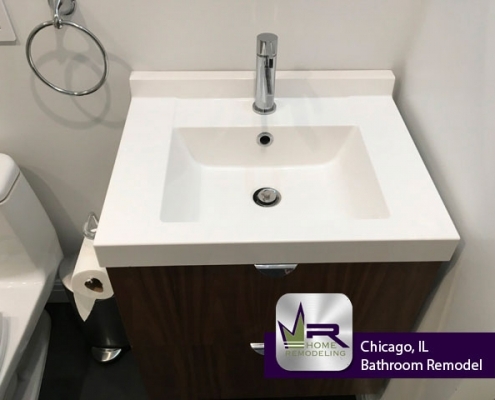 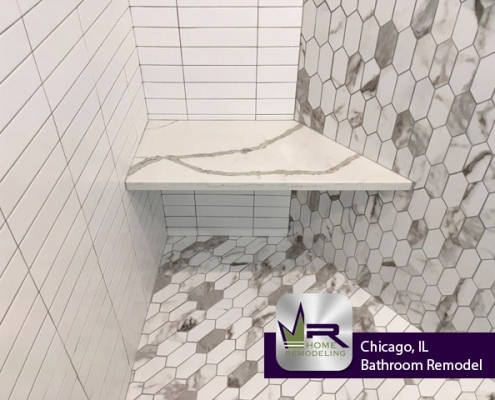 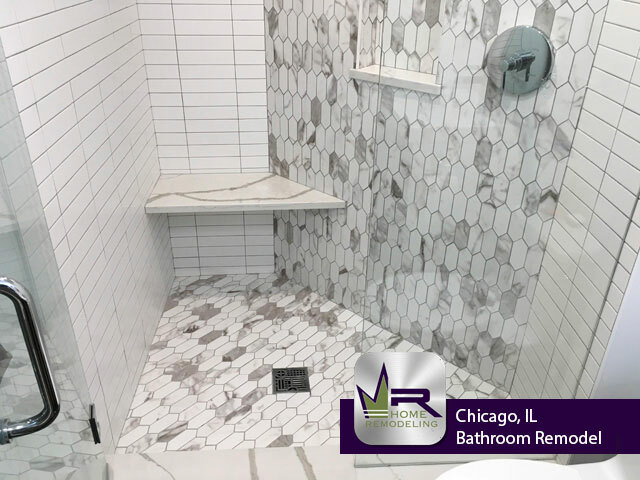 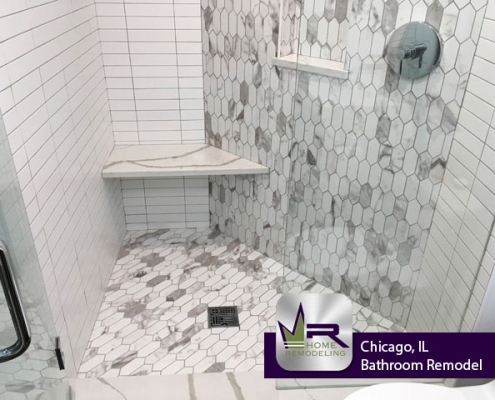 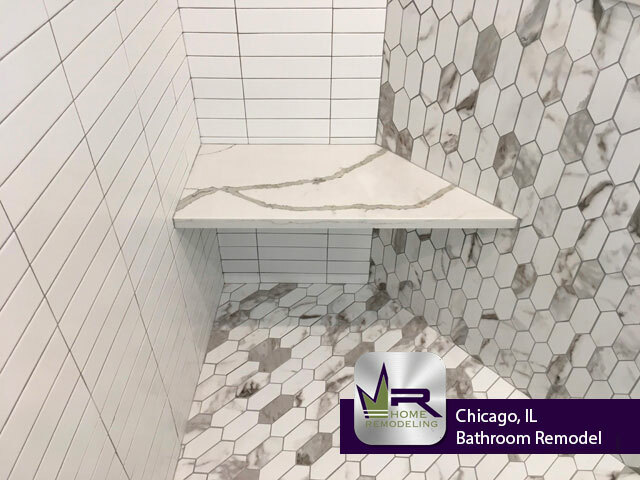 The owners of this Lincoln Park home knew Regency Home Remodeling were the ones to transform their bathroom into the bathroom of their dreams. 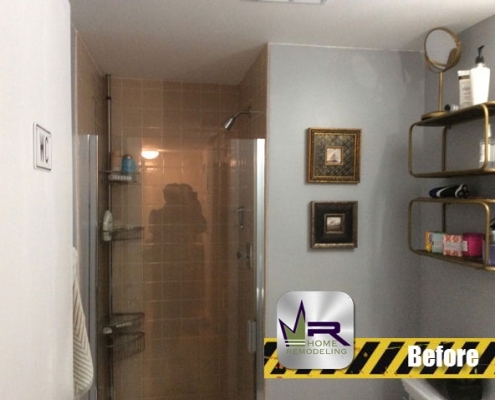 The main goal with the existing bathroom was the inefficiency of the shower. 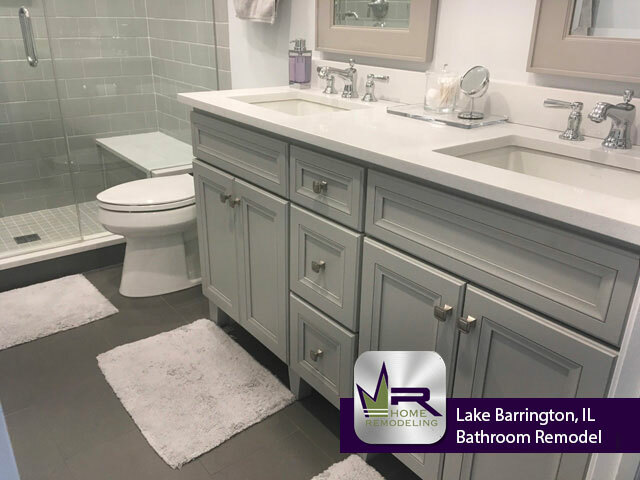 The overall size of the bathroom was on the smaller side, so the customers wanted Regency to make the bathroom appear and feel bigger without changing the actual size. 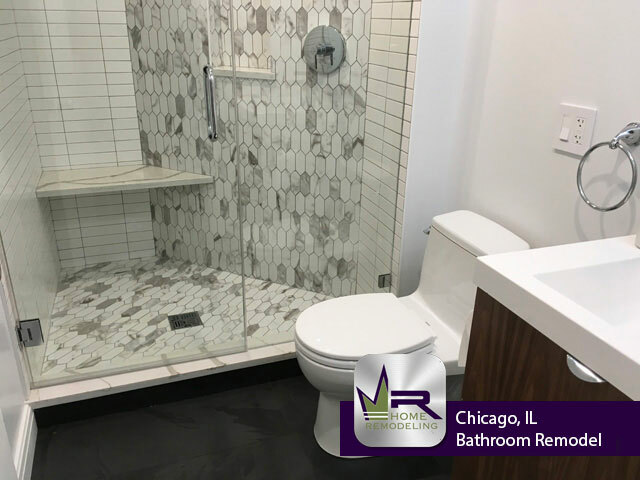 In order to make this possible, Regency would need to gut the existing bathroom from the vanity, shower, and toilet, to the floor tiling and light fixtures. 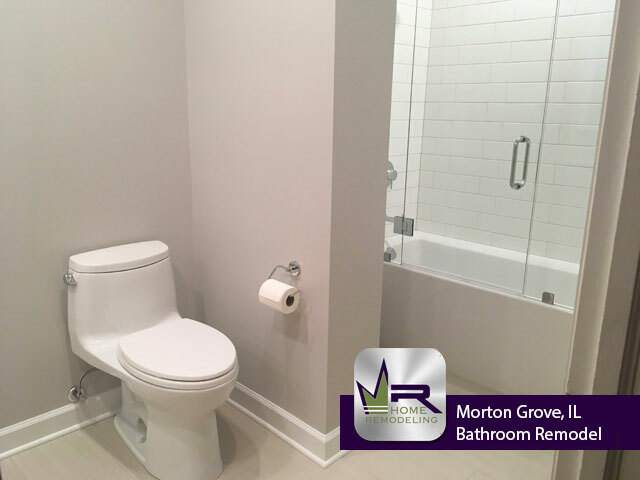 Regency did a superb job on this bathroom renovation. Prior to the remodel, the customers dreaded using this bathroom, now they look forward to it every time because of the practicality and new modern feel. 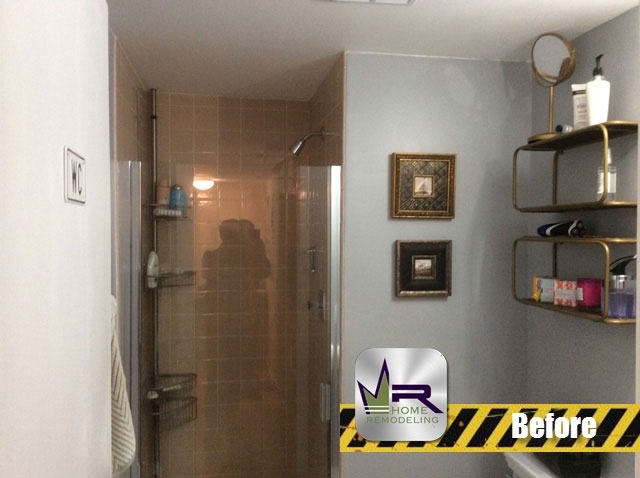 The most notable change is the overall style and the newly designed shower. 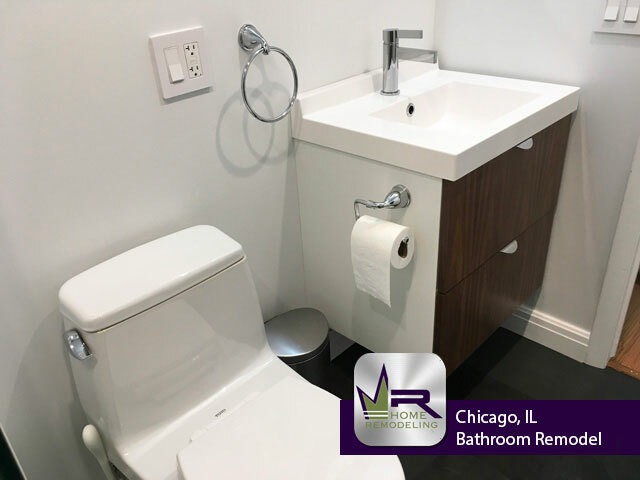 The light colored installations used throughout the bathroom assist in making the room feel bigger, without tearing down any walls. 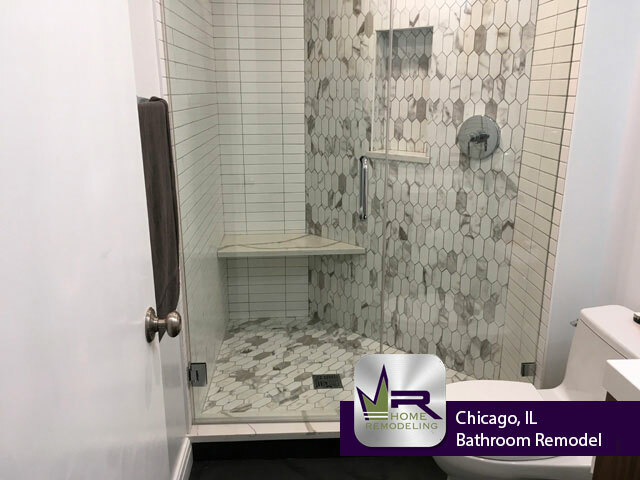 As for the shower, Regency was able to expand the shower making it more efficient for everyday use. 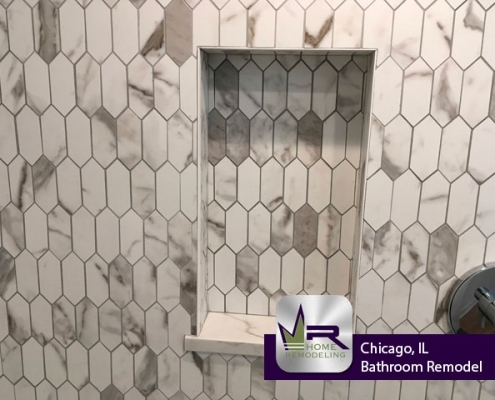 You can see light colored tiling used in the shower as well which also creates a larger effect. 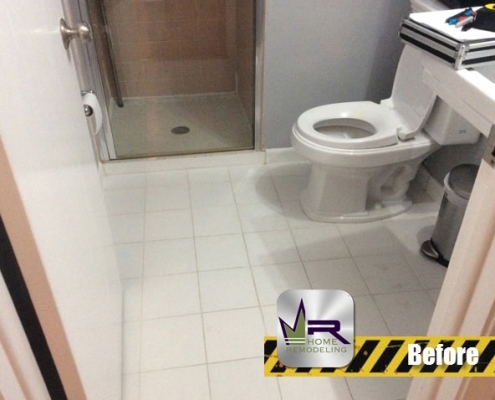 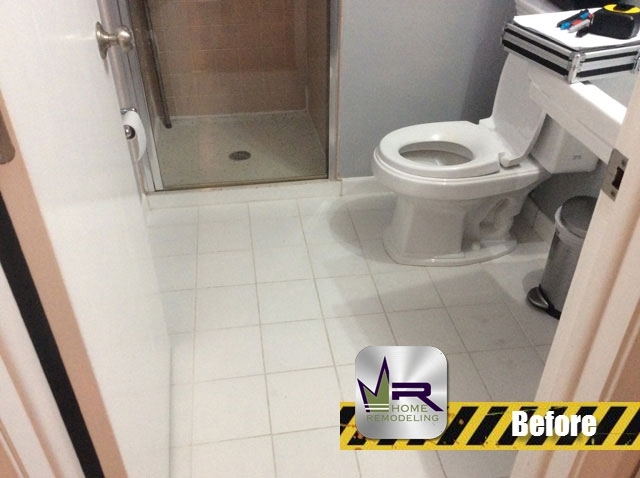 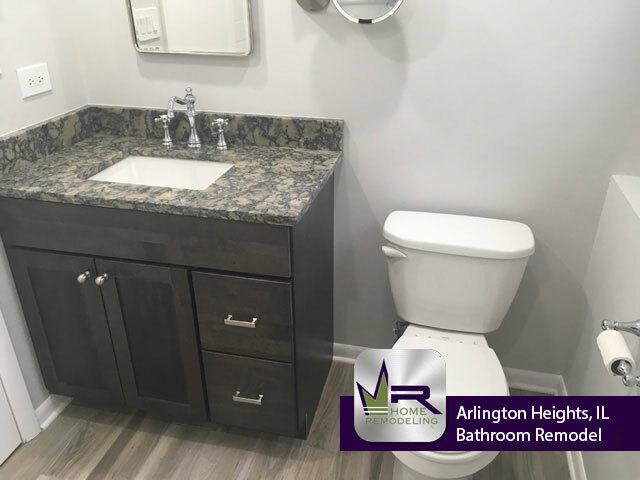 Overall, Regency went above and beyond the customers expectations with this bathroom remodel. 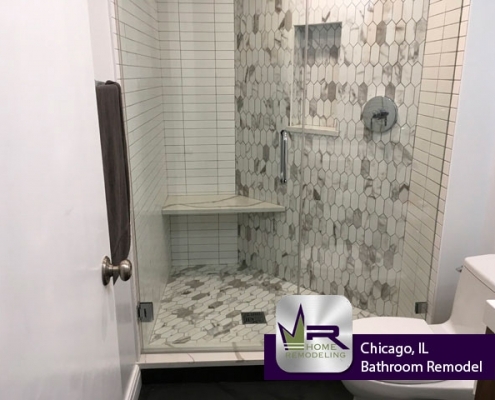 The couple will be able to enjoy their stylish new bathroom for many years to come.